What exactly do the Yankees have in Chase Whitley? 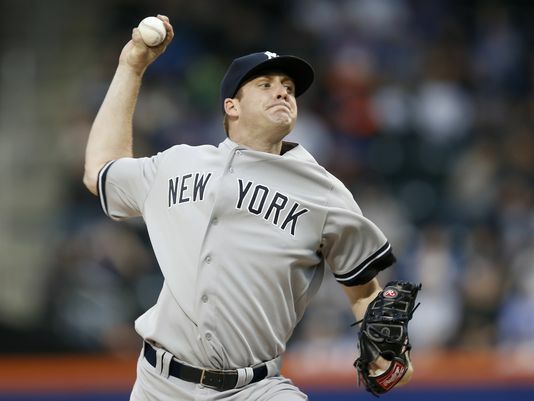 Tonight, Yankees rookie Chase Whitley was lit up for 8 ER in just 3.1 IP against the Toronto Blue Jays. This was easily the worst outing in Whitley’s young career, as he has been a pleasant surprise in the rotation up to this point. The question remains though, just what do the Yankees have in Whitley? The 25-year-old came into this game with a 3-0 record and a 2.56 ERA. With Michael Pineda and CC Sabathia on the shelf, Whitley has been a saving grace for the Yankees. Although Whitley was undefeated in his first 7 starts, he has only pitched more than 5 innings twice, and has never thrown more than 100 pitches in a game. I realize he’s young and probably on an inning/pitch count, but that isn’t too reassuring for me. It’s hard to count on a pitcher who can’t get through more than 5 innings in a start. With the Yankees rotation as thin as it is, it will be difficult having to use your bullpen for an extended period of time every fifth game. More than anything else, Whitley just ran into a very good offensive team tonight who was seeing him for the second time around. But that is also what would alarm me the most. Is Whitley going to turn into one of those guys who the league quickly figures out? Or will he be able to make the adjustments as quickly as the batters will to him? I know I’m only talking about 8 starts here, so I won’t get too carried away with any forgone conclusions about what Whitley will ultimately become. But if I were Brian Cashman, I wouldn’t be trigger shy when it comes to adding another starter. The name of the game is pitching, and I’m not sure you should be counting on Chase Whitley to be one of the starters you count on to help get you into the postseason. Best case scenario, Whitley slides into the fifth starter spot where he can eat up innings and keep the Yankees in ball games. Chris Young on his way out?